The Wow! Signal Podcast: Season 2 Episode 7 - Actually, Wow! Season 2 Episode 7 - Actually, Wow! 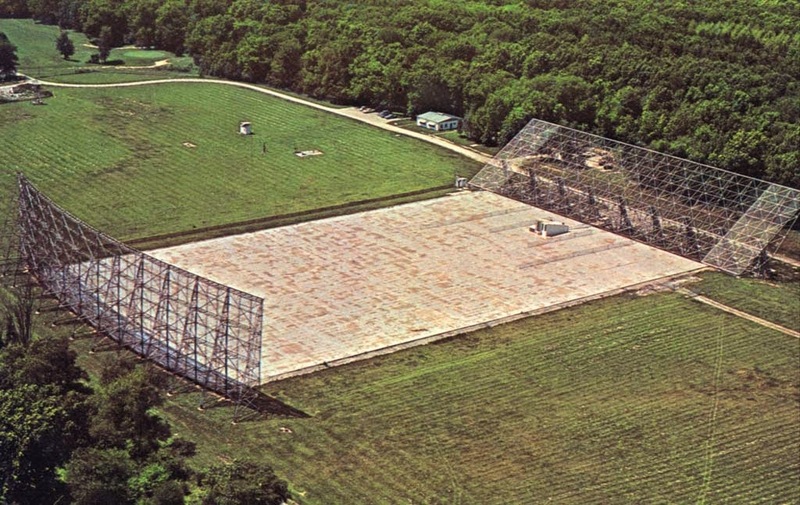 This podcast is named after an event that took place on 15 August 1977 at the Ohio State Big Ear radio astronomy observatory. Astronomer Jerry Ehman noticed a signal that looked exactly like what they were looking for - an ET radio beacon. Was it? We talk to Dr. Robert S. "Bob" Dixon, who was instrumental in bringing the Big Ear instrument to bear on the SETI problem, in his very first podcast interview. Among other things, he tells us about the experimental Argus array, which if built full scale, could help us catch a reoccurrence of the Wow! Signal. Music by DJ Spooky, George Hrab, Erika Lloyd and Chanticleer. The Big Ear Radio Telescope near Delaware, Ohio. Actually,Wow! by Paul Carr is licensed under a Creative Commons Attribution-ShareAlike 4.0 International License. Based on a work at http://traffic.libsyn.com/wowsignal/S2_E7_WowActually.mp3. My original comments seem to have got lost. I was surprised to hear Big Ear detected other weaker signals. it would have been good if you could have questioned Dr Dixon more about these, what frequency, what direction, any follow up? The big problem with Wow! as you say is the one time detection especially as Big Ear had two receivers. It could be that the signal had been transmitted for nearly the full previous rotation of Earth or, nearly the full rotation of Earth afterwards. My understanding is there are no stars close to the general direction the signal came from even though we know the broad range it supposedly originated from. This is puzzling but may be explained by the sending civilisation used some sort of 'mirror beacon' so as not to give away their true location and running the risk of potentially bezerkers homing in on them. Its a great pity we dont know if the signal band was narrower than 10k or, whether the signal was just a beacon or contain even the briefest of data. Now that would have been interesting! Actually, it was one receiver with two horns. The receiver measured the difference of the two horns, which helps to eliminate terrestrial interference. I don't know if all the weaker signals observed by Big Ear were well documented.